OBJECTIVE: The aim of this study was to review the efficacy, adverse effects and contraindications of intravenous thrombolytic treatment in acute ischemic stroke and to determine the predictive value of stroke scales applied in the first 24 hours to the three months outcome. 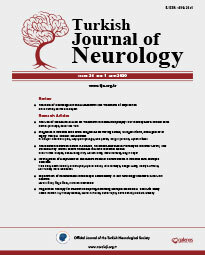 METHODS: We retrospectively evaluated the clinical data of 30 patients with ischemic stroke seen at our institution over the period October 2005 to October 2008; 12 of the patients received intravenous thrombolytic treatment while 18 patients were not treated despite being admitted within three hours. The neurological deficits were graded using NIHSS, RANKIN and BARTHEL scales. The relationship between time to treatment and clinical improvement and also the association between the scales at 24 hours and the three months clinical outcome were evaluated. The reasons for not treating the patients who were admitted within the therapeutic window were determined. RESULTS: Only 30 of 404 patients were admitted within three hours. Twelve patients were admitted within 134.58 ± 39.4 minutes of stroke onset. Clinical improvement, defined as an improvement of ≥ 25% NIHSS points, was observed in 6 of the 12 (50%) patients within 24 hours of therapy. An improvement of about 80% NIHSS points at three months was observed when compared with baseline scores. Two of the patients showed insufficient improvement, defined as an improvement of < 25% NIHSS points. Four patients died due to intracerebral hematoma, severe brain edema or cardiac causes. Of the 18 patients who did not receive treatment, this was due to contraindications in 17 and to failure to obtain consent for the treatment in 1. CONCLUSION: Our data suggest that an improvement of ≥ 25% NIHSS points at 24 hours predicts the prognosis at three months and supports the conclusion from previous studies that thrombolytic therapy is a reliable and feasible treatment in selected patients with acute ischemic stroke. Keywords: Thrombolytic therapy, tissue plasminogen activator, stroke.